There is everything here from very simple solids in every conceivable color to fun, tiles, stripes and bars, plaids, textured/embossed, holiday, fantasy, angels, and specialty clippings (very intricate original designs). All made by me, some adapted from other backgrounds, but more than 400 are complete originals you will find nowhere else. 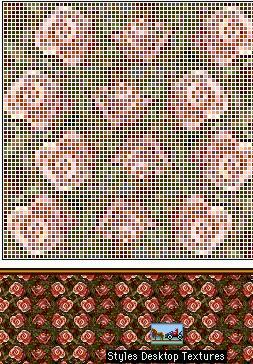 Most were drawn pixel by pixel (a few took 6 hours to create for one pattern). 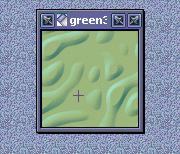 You will find there are a number pale enough to use as window backgrounds. 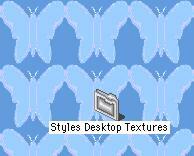 Many are from patterns which were written into schemes, but never offered separately to install as general backgrounds. 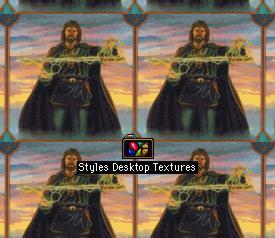 NOTE: There are multiple textures in every category, a few not represented (sorry; not enough space). 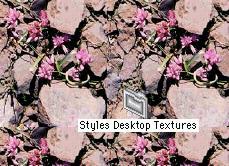 Last updated: April 6, 2000 -- Available on Styles Desktop Textures CD.